Religion Editor Carla Hinton traveled to the Holy Land as part of an interfaith group from Oklahoma. Here, she writes about the group's experiences as they explored Israel together. Editor's Note: Religion Editor Carla Hinton traveled to the Holy Land as part of an interfaith group from Oklahoma. 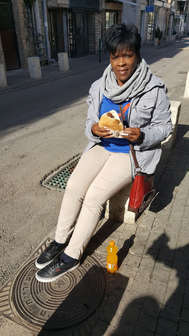 Here, she writes about the group's experiences as they explored Israel together. ISRAEL — The picturesque hill in the Old City of Jerusalem was the perfect place for Oklahoma Christians, Muslims and Jews to begin their tour of a land rife with meaning for each of their faith traditions. The Jews and Christians in the group knew it as the Temple Mount, the holiest site in Judaism, where God told Abraham to sacrifice his son Isaac, and the home of the "Holy of Holies," the most sacred part of the First Temple, according to the Hebrew Bible/Old Testament. The Muslims knew it as the Haram el Sharif (Noble Sanctuary) or the Dome of the Rock, where, according to the Quran, the Prophet Mohammed was lifted to heaven and returned to Earth to continue his teachings. As the Oklahomans walked around the holy site admiring the architectural features in different areas of the plaza, guides shared the different theological histories that converged there. The guides also explained that over the years, there had been episodes of violence at the site. And notably, in 1969, a Christian man from Australia set a fire in the Al-Aqsa mosque adjacent to the Dome of the Rock. 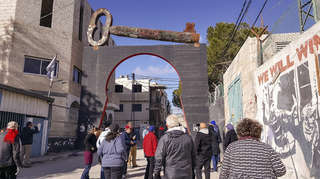 So, the tourists from Oklahoma saw armed Israeli guards walking along the periphery, their presence designed to serve as a deterrent to any would-be troublemakers. Though the site had theological significance for the entire group — the Holy of Holies is thought to be under the Dome of the Rock — only the Muslims would be able to venture inside the ornate Islamic shrine considered one of Islam's most holy sites. The Old City of Jerusalem is under the control of the State of Israel, but the Temple Mount/Dome of the Rock is managed by an Islamic Waqf or Islamic religious committee. The chief rabbi of the Old City has warned non-Muslims, specifically Jews, not to go there to pray. The Muslim Oklahomans chose to forego the opportunity to go inside the shrine because the entire tour group wouldn't be allowed in. The Muslims, five people from Oklahoma City and Tulsa, decided to visit the site later. It was a eye-opening welcome to the rich spiritual heritage and the complexities of the Holy Land. What happened when the Oklahoma Religions United interfaith group traveled to the one place in the world where their faith traditions have collided for centuries? Rabbi Vered Harris, spiritual leader of Temple B'nai Israel in Oklahoma City, said she proposed the interfaith trip as a way to help clarify issues surrounding the Israeli-Palestinian conflict. She said many people in America have formed opinions about the troubling situation but they have never experienced Israel first hand. What better way to learn what is really going on there than to visit both Israel and the Palestinian territories? What better way to wrap one's mind around the complexities of the Israeli settlements in the West Bank or the Palestinian refugee camps than to visit them? So, in partnership with the Rev. William Tabbernee, executive director of the Oklahoma Conference of Churches, Harris reached out to Wellington, Fla.-based Mejdi Tours to coordinate a tour of the Holy Land that would allow Oklahomans to experience for themselves the situations that have arisen due to the ongoing conflict. 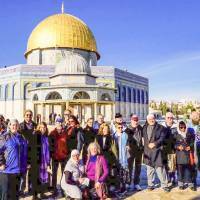 Along the way, the group would get to experience the holy sites significant to all three of the Abrahamic faiths and sample Middle Eastern cuisine, such as falafel and baklava. The Oklahomans represented the Judaic and Islamic faiths as well as several Christian denominations, including Catholic, United Methodist, Cooperative Baptist Fellowship and Christian Church (Disciples of Christ). The visit to the Temple Mount/Dome of the Rock helped set the stage for the eight-day "dual narrative" tour given by two knowledgeable guides. 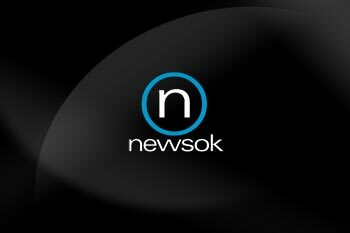 The two men, one an Israeli Jew and the other a Jordanian Arab, struck up a running commentary as the Oklahomans visited site after site and heard personal perspectives of people on various sides of the ongoing conflict. The sometimes perplexing accounts and situations fraught with decades-old religious tension did not deter group members from experiencing the spiritual. The Rev. Evan Taylor, outreach minister of East Side Christian Church (Disciples of Christ) in Tulsa, said he experienced a profound moment of faith while he stood with the group in the Temple Mount plaza. "To know that I was walking through those columns where they told us that Jesus probably walked, that was a chill moment," Taylor said. "I just wanted to go away and cry for a minute. It was overwhelming." "Israeli-Palestinian conflict" is a term with which each member of the Oklahoma group was familiar. The 22 Oklahomans talked with leaders in one of the Israeli settlements in Judea and Samaria and also spoke with an American of Palestinian descent who now resides in East Jerusalem. In one of the most moving presentations of the trip, the group listened to two fathers — one an Israeli Jew and the other a Palestinian Muslim — who have been brought together in the worst sort of way: both have had a young daughter murdered in the ongoing clash. But each conversation about the situation seemed to begin or end on this note: "It's complicated." This didn't seem to be a cop out but a simple statement that fittingly described this complex area of the Middle East. There was no question that the situation was, is, complicated. Questions seemed to bring about more questions than answers. Two-state solution or one-state solution? If the Israelis and the Palestinians agreed to divide into two states, could they agree on the borders? And if they continued as one state, the Jewish State of Israel, how could the Jews maintain a majority when there are more Palestinians within the state's borders? Should more Israeli settlements be allowed in the West Bank areas where Palestinians now reside and hope to have their own state? What is the United States' role in the conflict? What would it take to end the hostilities that have destabilized the region for years? An example of ongoing unrest came in the form of an attack in East Jerusalem when the Oklahomans were staying at a hotel in that area, although they spent the day of the incident about 10 miles away in Ramallah. Four Israeli soldiers were killed and more than a dozen people were wounded after a Palestinian man rammed a truck into the middle of a group milling about a popular walkway. Israeli police called the incident a terror attack. The Israelis and Palestinians who spoke to the interfaith group said there are no easy answers and there probably will never be. But there were two things most of them agreed upon. First, that the situation as it stands now is untenable. Second, they still have hope that peace will reign in the land someday. 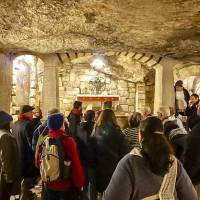 Religion Editor Carla Hinton traveled to the Holy Land in January as part of an interfaith group from Oklahoma. Her series continues with stories about the group's experiences as they explored Israel together, visiting sacred sites important to the Abrahamic faiths and listening to the personal accounts of people whose lives have been affected by the Israeli-Palestinian conflict. 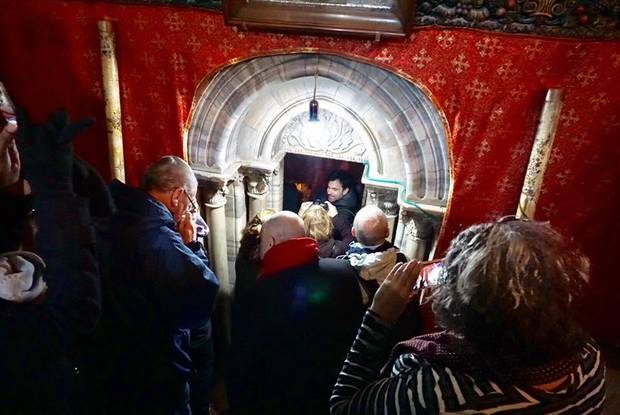 Editor's note: Religion Editor Carla Hinton traveled to the Holy Land in January as part of an interfaith group from Oklahoma. Here, she writes about the group's experiences as they explored Israel together, visiting sacred sites important to the Abrahamic faiths and listening to the personal accounts of people whose lives have been affected by the Israeli-Palestinian conflict. ISRAEL — At first glance, the mesa didn't look that much different from others rising up out of the terrain in the Judean Desert. However, this particular mountain overlooking the Dead Sea was different. It was Masada, a place many Israelis' view with pride as a symbol of the Jewish people's determination to live free from persecution. Now known as Masada National Park, the Oklahoma Religions United group learned that the Roman king of Judea, known as Herod the Great, built one of his more notable palaces atop the mesa. Jewish rebels took over the palace fortress during the Revolt of the Jews against the Romans in 66CE. The rebels were joined by others fleeing Jerusalem and they held out against the Romans for three years until Roman governor Flavius Silva laid siege to Masada and breached the wall in 74CE. Rather than face the Romans and certain death or slavery, the rebels, led by Elazar ben Yair, committed suicide. According to the first-century Jewish historian Josephus, Flavius Silva and his Roman soldiers found 960 dead — men, women and children —when they finally entered Masada. Hollywood knows a good story when it sees one, and the events at Masada have been chronicled in television and feature films over the years. A notable depiction was a 1981 TV miniseries starring Peter O'Toole as the Roman general Flavius Silva and Peter Strauss as the Jewish leader Eleazar ben Yair. The itinerary for the Oklahoma interfaith group noted that they would learn "how archaeology and nationalism intersect to help create national identity." 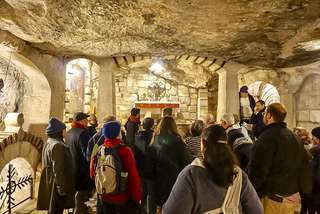 Tour guide Eldad Brin, an Israeli Jew and native of Jerusalem, explained that the national park is the most popular park destination in Israel and one of the most important archaeological sites in Israel. The interfaith group watched a short film about the excavation of the mountain fortress in the 1960s and then set out to ride a cable car to the top. Guests were given an option of walking up the mountain, but no one took that option. A group of Oklahomans, including Imam Imad Enchassi, his wife, Judith, from Oklahoma City, and Tulsans J.K. Alam and Kamran Abbasi, did walk down the mountain after touring the site. While the famous siege was one of the main focus points of the visit, a key issue that arose there was the importance of clean water, or rather access to it. It also was to become an integral part of a conversation later in the day during the interfaith group's visit with EcoPeace Middle East in Jericho. At Masada, Brin said part of the reason Herod's palace at Masada was so fascinating was because of the way the Romans figured out how to get water to the mountaintop palace. Brin showed the Oklahoma group the remains of one of Herod's bathhouses and talked about the elaborate system of cisterns and aqueducts the Romans devised to supply water for the king and court. Meanwhile, when the Masada visit was over, the Oklahomans headed to the Dead Sea for an opportunity to take a dip in the famously salty water. The group learned that the Dead Sea has been shrinking over the years, and there has been an emergence of sink holes along some portions of the shore line. They also learned that some of the mountains were the hiding places of biblical hero David when he hid from King Saul, as chronicled in the Bible. The area also was where the Dead Sea Scrolls were found. The first person in the water was the Rev. Evan Taylor, outreach minister at East Side Christian Church (Disciples of Christ) in Tulsa. Taylor said he placed floating in the Dead Sea on his bucket list at the ripe old age of 8 after attending a vacation Bible school session that focused on the body of water. James "Jim" Mauldin, a member of Mount Zion United Methodist in El Reno, said he knew he wasn't going to get into the water because the weather was a bit too chilly for him. However, he did ride a camel during the visit. Mauldin said his pose for pictures came from one of his favorite movies, "Lawrence of Arabia." The lighthearted adventures were an enjoyable prelude to more serious matters at the next stop on the tour — EcoPeace Middle East in Jericho. Representatives of EcoPeace Middle East, formerly Friends of the Earth Middle East, shared their organization's mission to protect the environmental heritage that Israelis, Palestinians and Jordanians share and to support peace efforts. They said they work to educate people about the environmental concerns, and one of the critical issues is water, they said. The young environmentalists said water is shared between the three entities of Israel, the Palestinian Territories and Jordan, but the Israeli government has been slow, as in years slow, to give permits for much-needed well drilling in Palestinian areas. One valley dwindled from 80 people to about 12 because of the water issues, they said. J.K. Alam, a leader with the Islamic Society of Tulsa, said he was amazed that the EcoPeace representatives said they still maintained hope that the government eventually would permit wells to be drilled where needed. Alam said their hope was a sign that perhaps the younger generation affected by the Israeli-Palestinian conflict might eventually be the purveyors of much-sought after peace. 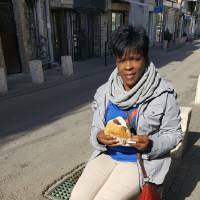 Religion editor Carla Hinton reflects on her travels to the Holy Land. The thought of visiting Bethlehem was surreal. Having grown up hearing the story of Jesus’ birth from my relatives and church leaders during Sunday school, worship services, Christmas pageants, etc. I couldn’t wait to see the Church of the Nativity, which is said to be the actual site of the manger where He was born. 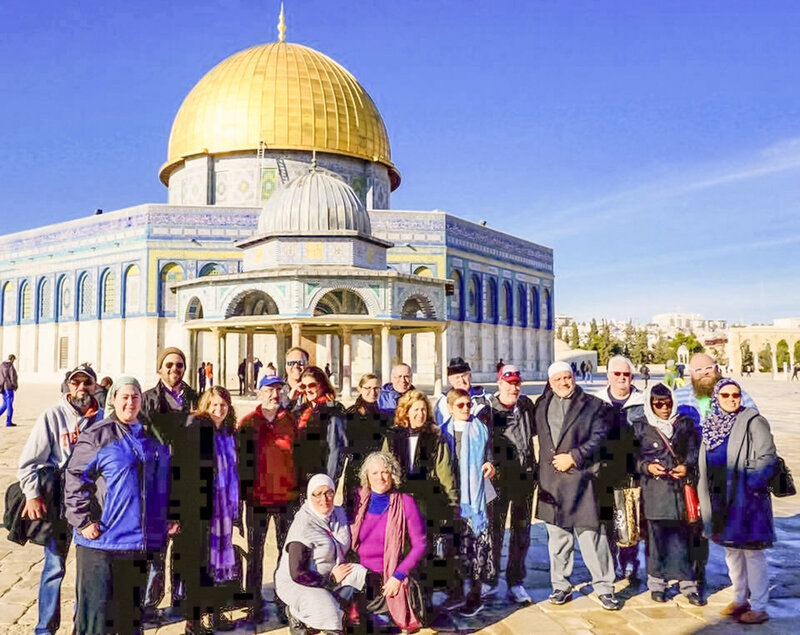 By the time we arrived at Manger Square in Bethlehem, our Oklahoma Religions United interfaith tour group had already visited the Old City of Jerusalem which included the Temple Mount/Dome of the Rock, the Western Wall and the Church of the Holy Sepulchre. 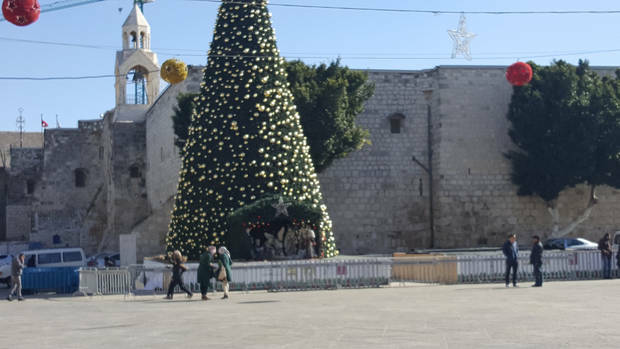 Bethlehem, we learned, is in the Palestinian Territories and is controlled by the Palestinian Authority. Roman Catholic, Greek Orthodox and Armenian churches share custody of the Church of the Nativity and this was apparent by the different shrines and chapels that each group has placed there. The original church was built by the Christian Roman Emperor Constantine as he and his mother Helena wanted a house of worship built around the cave venerated as Jesus’ birthplace. That church was destroyed by the Byzantine Roman Emperor Justinian, who then built the church that our interfaith group visited. We saw so much during the trip to Israel and the Palestinian Territories, but the Church of the Nativity stands out for many reasons. We were intrigued when we entered the church by what they call the “Door of Humility,” a very small entry way into the church. At first, I thought our guide was joking. He wasn’t – I just hadn’t done my homework. In fact, this door is one of the more notable aspects of the famous church. Our guide Adam Nerk told us that the door was crafted so tiny to prevent theft of the animals people left in the courtyard area when they went in to pray. Sacreddestinations.com said the door was made so small to prevent carts driven in by looters and to ensure that all visitors would have to dismount from their animals in order to enter. Once inside, we were surprised to learn that the church is under renovation, just like the Church of the Holy Sepulchre in the Old City. This didn’t deter tourists like us from getting a good look around. It was good to see that the church is being cared for. We saw portions of the ancient mosaic tile floor in the church’s nave. And we waited briefly in line to descend into the Grotto of the Nativity where we saw a silver star that marked the place of Jesus’ birth. Several of us placed our hands on the smooth stone inside the star that is said to be a part of the actual cave where Jesus was born. 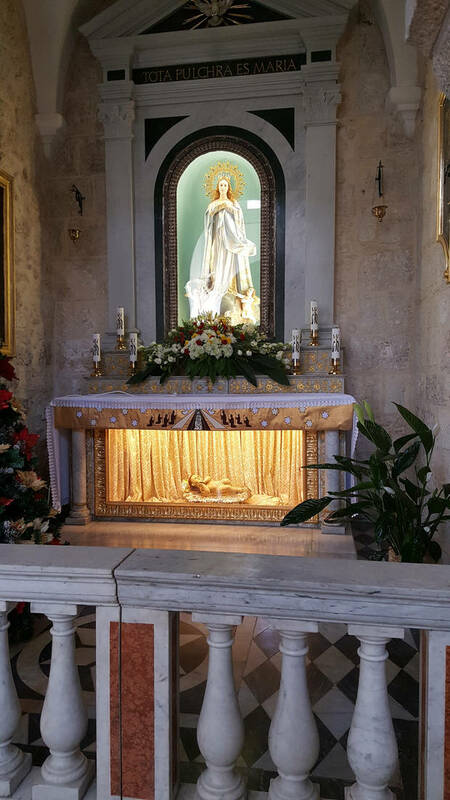 The churches that share custody of this house of worship – one of the oldest surviving Christian churches – have each placed shrines in different parts of the Church of the Nativity. We sat for a while in a fairly new part of the church, the Church of St. Catherine, that is under the jurisdiction of the Roman Catholic Church. It was here, that the Rev. 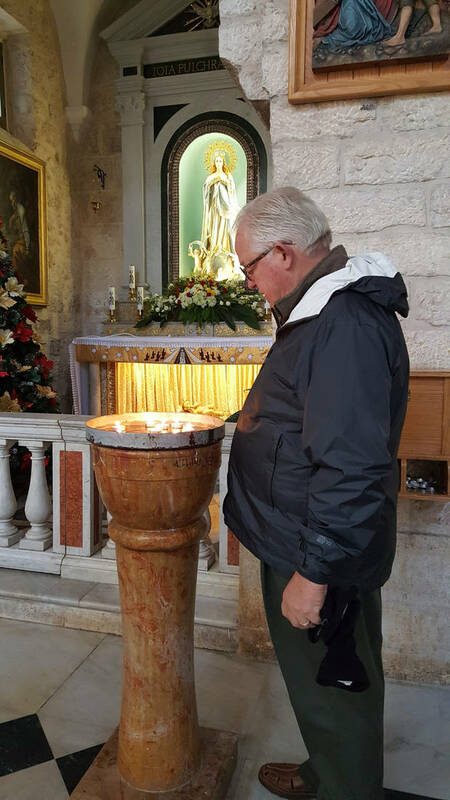 William Tabbernee, executive director of the Oklahoma Conference of Churches, told us about his previous visit to the Church of the Nativity. The Rev. Steve Graham with the Oklahoma Cooperative Baptist Fellowship lit a candle for one of his relatives before we went on to the next site. As we waited for everyone to gather so we could leave, I saw a beautiful scene of Jesus’ birth on display in a courtyard of the church. The scene featured life size characters of Mary, Joseph and the Baby Jesus, along with animals. I couldn’t help taking a picture. This scene didn’t look like a cave to me and it was more in keeping with how I’d always envisioned the scene of Jesus’ birth. One thing that I remember most about this particular site was that I took off my "objective" hat. I am a Christian but when I cover events for my religion beat, particularly for interfaith events, I'm used to maintaining objectivity on whatever topic or issue is the focus. During our group's visit to the Church of the Holy Sepulchre just three days before we went to Bethlehem, we saw the Stone of Unction, also called the Stone of the Anointing. It is a stone slab that is said to be where Jesus' body was prepared for burial by Joseph of Arimathea. According to many accounts, the limestone slab was placed in the church sometime between 1808 and 1810. We saw many pilgrims bending down to place their hands on the stone and a lot of them knelt there for brief prayer. Another Christian in our group, the Rev. Evan Taylor of Tulsa, placed his hand on the stone. I wanted to do it as well but I hesitated. Then, I thought "Why am I hesitating? I'm a Christian pilgrim here like all these other pilgrims. So I knelt down, placed my hand on the stone and said a prayer. When I stood up, I felt good but didn't stop to think much about it. 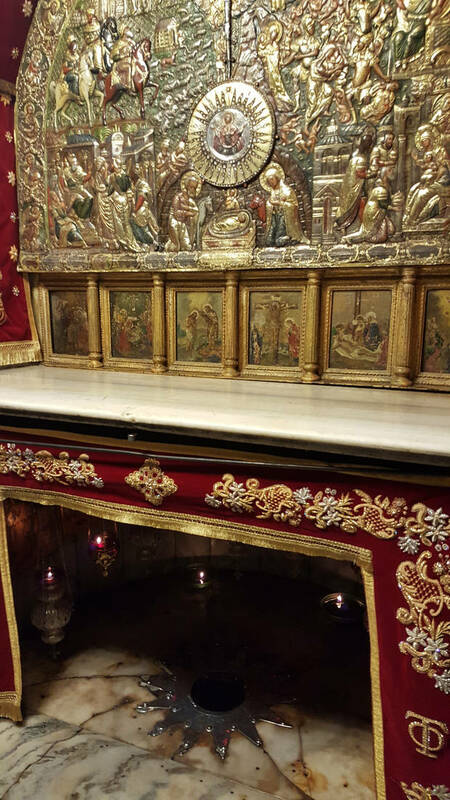 At the Church of the Nativity, as we searched for the manger, it came to me: I didn't feel the hesitation that I experience a few days earlier. Yes, I was a reporter covering an interfaith group's trip to the Holy Land, but I was also a Christian. I had finally given myself permission to be just like any other Christian pilgrim there, to experience the holy sites sacred by the faith. My hesitation was self-imposed. In fact, the interfaith group members all seemed to go out of their way to make sure that each of their fellow travelers experienced the holy sites important to their faith traditions in the best way possible. This was the Holy Land, after all. Read about the Oklahoma Religions United group's visit to Masada National Park, the Dead Sea and Jericho in the Life section of the Saturday, Feb. 18, edition of The Oklahoman. 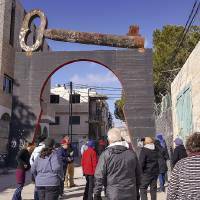 In the Feb. 25 Life section, look for a story about the Oklahoma group's visits to the Separation Wall in Bethlehem and a Palestinian refugee camp. Religion Editor Carla Hinton traveled to the Holy Land in January as part of an interfaith group from Oklahoma.